We are a laser tracker service company. 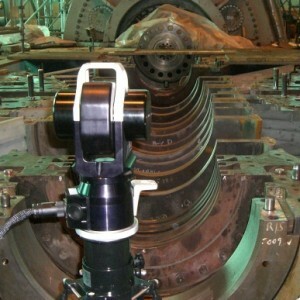 That means we use the laser tracker to provide alignment and measurement data for our clients. The need for laser tracker services has risen exponentially in recent years and in today’s blog we will discuss four reasons why the laser tracker can work in just about any situation to provide laser accuracy for any job. 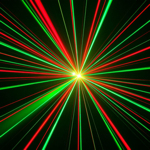 Portable – Laser tracker technology has improved by leaps and bounds in recent years. In addition to the speed, accuracy, and precision of the new laser tracker technology one major enhancement is in the size and weight of the actual machine itself. Today’s laser tracker is very portable making it a great tool for just about an alignment job. Versatile - Because the laser tracker is able to orient to any system it is very versatile to any system. In fact, there have been several jobs where we have hung the laser tracker up-side-down and achieved the same precision measurements as we have when it is right-side-up. Rugged – Able to run accurately from up to 100 degrees down to 32 degrees Fahrenheit the laser tracker is extremely rugged. Housed in a tough shell and set on a strong tripod there are very few environments that the laser tracker can not endure. Digital – The true advancement in technology has been the move from analog data to digital data. All measurements are recorded digitally and can be utilized in today’s most advanced 3D software. The laser tracker can measure a physical object and take its coordinates and translate them into a dimensional framework that is digital and able to be transferred and manipulated into any state needed. Contact Schaeffer Precision Alignment today to learn how we can provide precise and accurate measurements to help align your machinery, tools, and equipment.